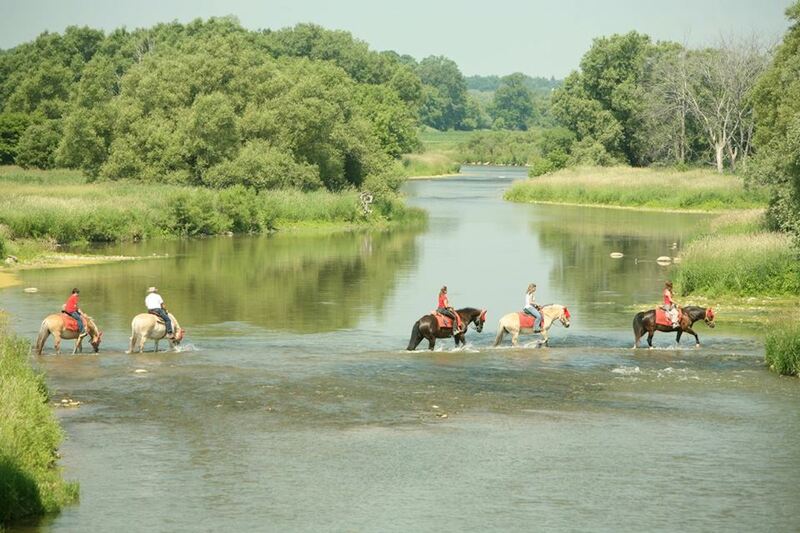 We had a wonderful time at Conestoga River Horseback Adventures yesterday! We fitted several of their hard working horses with new Coopersridge Saddle Pads, and were very pleased to see great improvements in the horse’s comfort level and relaxation under saddle. Since trail riding and school type horses have a large variety of riders, it is important that their tack fit comfortably. With our CR Saddle Pads and Advanced Shim Technology we were able to customize the shims for each horse and saddle combination to eliminate imbalances and pressure points. The amazing people there were even kind enough to take us out on a trail ride with river crossings, amazing scenery and great horses. It was awesome! Be sure to check out their website and book a trail ride for you and your friends, you don’t want to miss out on a horseback adventure!